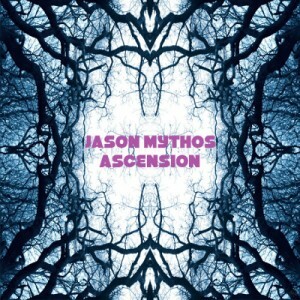 Wicked Dream Recordings proudly presents Jason Mythos as you have never heard him before! After a six month vision quest to find his musical “self”, Jason has returned triumphant in his efforts. The album Ascension is a sonic memoir of this quest featuring richly-layered progressive trance dripping with ambience and backed by driving percussion. The resulting “journey” style of productions allows listener interaction both on the dance floor and in meditative contemplation. Album artwork, production, and mastering by Jason Mythos @ Wicked Dream Recordings, Philly, PA.
MP3 Download | FLAC Download | WAV Download · Download count: 4,352. Very well done! Definitely some of your best work. Hello. As I am very passionate about producing high quality music and audio I do take all comments into consideration. I may have a problem with my gear or possibly have developed a hearing problem so could you please be more specific and detailed? What are you listening to the music on? Which file(s) did you listen to mp3/flac or wav files ? Did all the songs sound bad or just the first two? What sounded bad exactly: Frequency overlap? Distortions or transient spikes? Improper EQ or volume levels? A low dynamic range? To much going on in the center of the stereo image? And please state your experience with music. Are you a listener, a producer or an audio / mastering engineer? I genuinely would appreciate help from this community. Thank you. Hello. I start by saying that, among the many passions, I am an audiophile. After reading the comments of ‘s.info’, I decided to download the three formats to control them. I listened with my speakers all tracks, and believe me all play well. Great spatiality good bass, excellent mixing. If then, there are technical aspects that go beyond my knowledge I leave to others the judgment. The mixing and mastering fits perfect to the tracks and are IMO very good! This album is top notch quality as most music here on Ektoplazm! Style-wise i see this as excellent progressive! Hello Jason. I am a sound engineer and have listened to the .wav file version of the album. I did notice that the album seemed to go from a dirty sounding first track to a very clean sounding last track in what appears to be an “Ascension” of reverb fx. Very cool musical idea but using reverb for the “Ascension” so to speak may not have been the best choice. Reverb and delays on the low end of the mixing spectrum are problematic and contribute to what most people call a “muddy” sound. This is why the first song and part of the second song doesn’t sound as vibrant or clean as the last three songs on the album. The mastering is solid with a cumulative dynamic range of 7 though I personally would have preferred a 9. You have a retro synth and production sound that is very reminiscent in places of some of the old releases from Platypus Records back in the Golden Age of trance. This is a really good retro trance album. nice potent ambient trance vibes. quality album. Wow, this is sure dancefloor friendly release! A very big thank you to the Ektoplazm community for your feedback and support, it is greatly appreciated!